Nevis Premier, Vance Amory, believes that the island would experience an upswing in economic activity and that the financial sector would be one of the catalysts responsible. Mr. Amory who is also the Minister of Finance in the Nevis Island Administration was at the time reporting on his recent meetings in Orlando, Florida when he spoke to the Department of Information at his Bath Hotel office on January 15, 2015. He said it was important for everyone on Nevis to ensure that they maintained the island’s security, its stability and peacefulness, since those features, added to the resourcefulness of its people, were among Nevis’ main attractions. 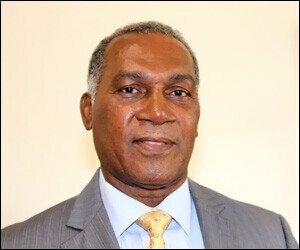 The Premier noted that he had attended a reception, hosted by Liburd and Dash and another company which owned a Trust Company in Nevis, which focused on Nevis, during a Heckerling Institute on Estate Planning, an international finance conference attended by more than 3,000 delegates this year. He said the reception provided him with the opportunity to meet and speak with individual providers of international services, Trusts and Limited Liability Companies about the Nevis products. “I think those who were there were very impressed with the services which we offer in Nevis. I can say that out of that conference, that special reception, we have a number of people who have indicated interest in coming to Nevis but also continuing to do business in Nevis. I think this is going to be good for us as we continue to market, promote Nevis,” he said. Director of the Nevis Investment Promotion Agency (NIPA) Kimone Moving accompanied Mr. Amory at the annual Heckerling Institute on Estate Planning which was hosted by the University of Miami School of Law.